With Denman now retired, punters are in for a big treat with Kauto Star locking horns with Master Minded for the first time, but both will have their work cut out attempting to prevent Long Run retaining his King George crown. Master Minded has previously competed over shorter distances as trainer Paul Nicholls has been reluctant to run his three big-named chasers in opposition. But he will finally get his chance over 3m with Denman now out of the picture and owner Clive Smith could be in for a major payday, as the other standout star among his string of horses Kauto Star has also been entered for Kempton. A victory for Kauto Star would add another record to an already illustrious list as it would represent a historic fifth career victory in the Grade One contest, moving him ahead of the legendary Desert Orchid. Both horses will be popular winners with Kauto Star at 4/1 in the horse racing odds and his younger stablemate 5/1, but they may be battling for the minor places behind Long Run. Long Run would certainly be odds-on and not 5/4 to win a second King George had he not performed arguably below par on his seasonal reappearance at Haydock, when he was beaten by Kauto Star. However, Long Run failed to win on his first start of the campaign last season before improving to win the King George and the Cheltenham Gold Cup and it is hard not to expect a repeat. Long Run’s jumping was particularly poor at Haydock and any improvement at Kempton will be a major boost to his chances, while Kauto Star was arguably trained as if the Betfair Chase was his final swansong. It will be hard for Nicholls to get Kauto Star back in similar shape, while there are serious doubts as to whether Master Minded will see out the increased trip against the best calibre of opposition. 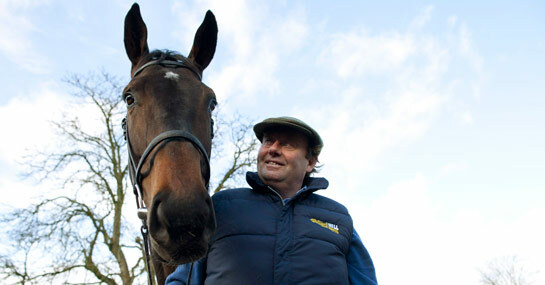 With Long Run also likely to have shaken off any rust in the Betfair Chase, he must be considered the horse to beat.